On sale through the holidays! 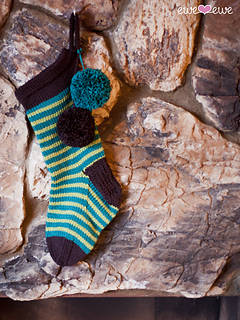 Get ready for Santa with a new, hip holiday stocking. 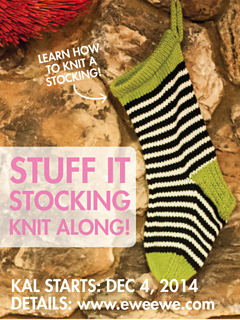 The Stuff It Stocking is perfect for filling and totally fun to knit. 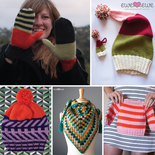 Wooly Worsted has a beautiful sheen and the knitting pattern works up fast on size 8 needles. The pompons add a bit of festive flare. Make one for the whole family! 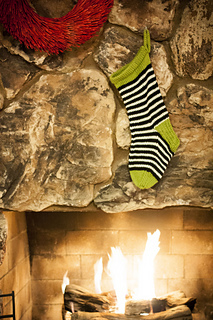 See all the steps to make this stocking!